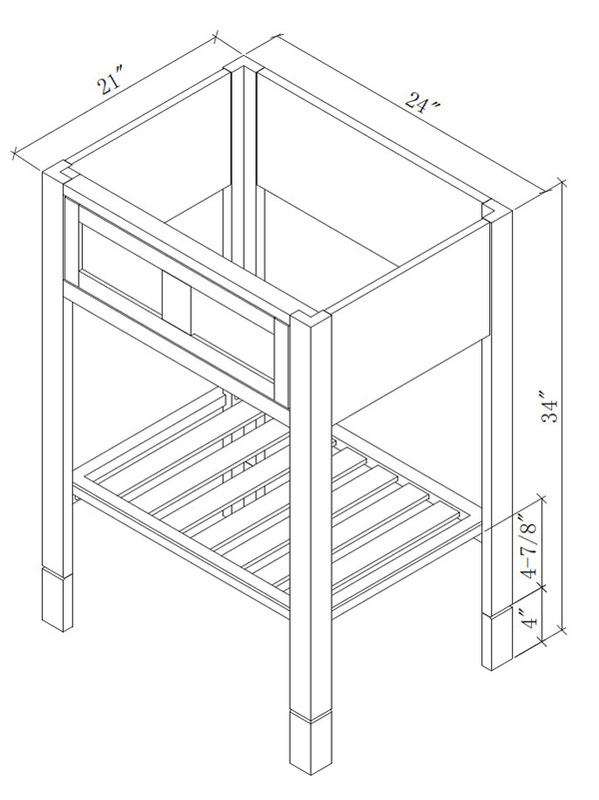 Simplicity is the focus for our 24" Parsons Single Vanity. Its minimalist style features a dark Espresso finish with subtle grain textures while its petite size makes it a perfect fit for any small bathroom. 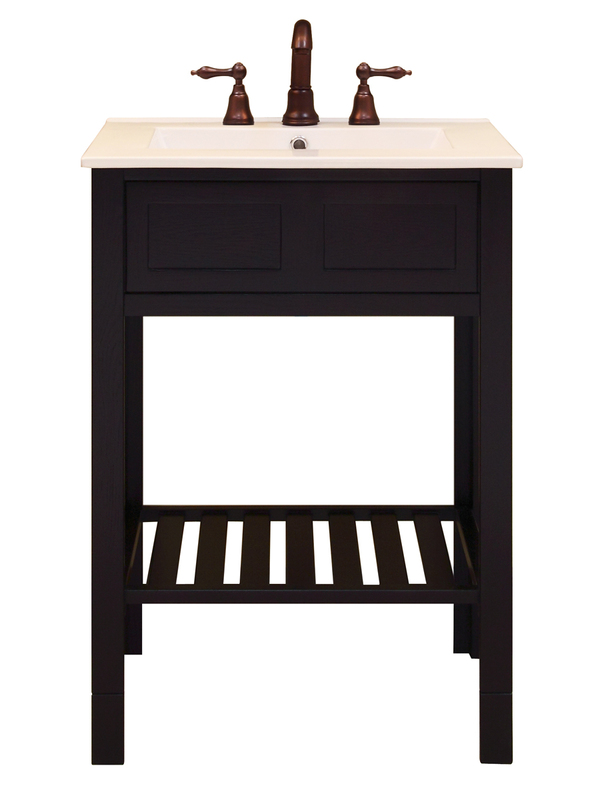 The lower towel shelf features a versatile slatted shelf, while the decorative inset front panel of the vanity adds to the minimalist appeal. 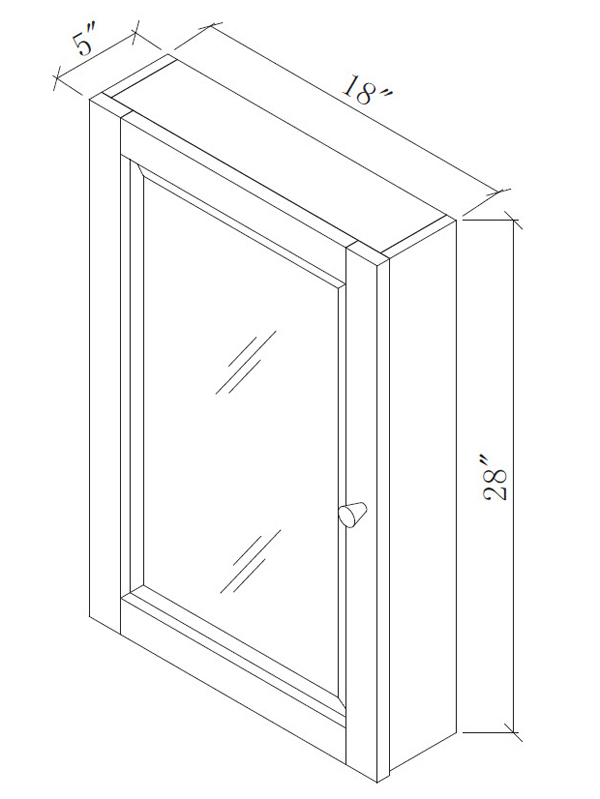 Adjustable levelers on the legs provide easy installation and allows you to adjust the height of the Parsons, giving you the option to have a standard undermount sink or vessel sink top. 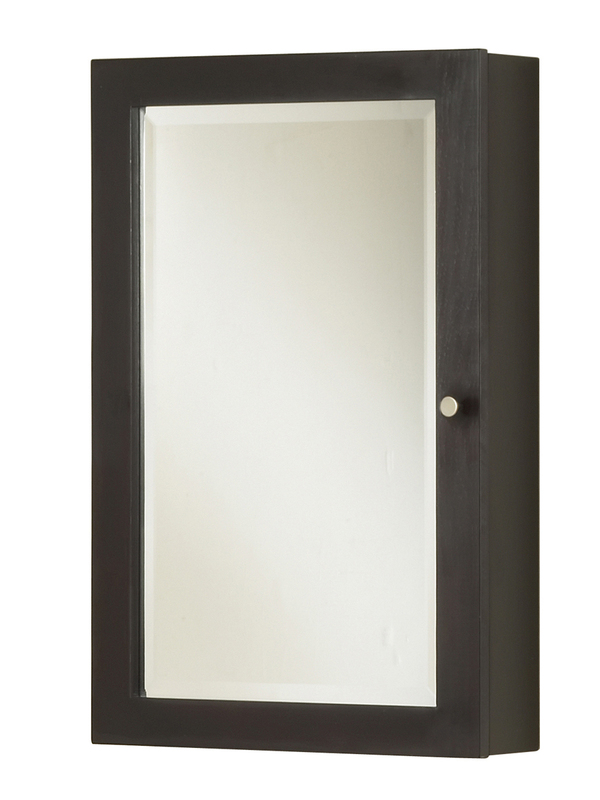 Add to your new Parsons Vanity its matching medicine cabinet to give you a space for storing small bathroom necessities! 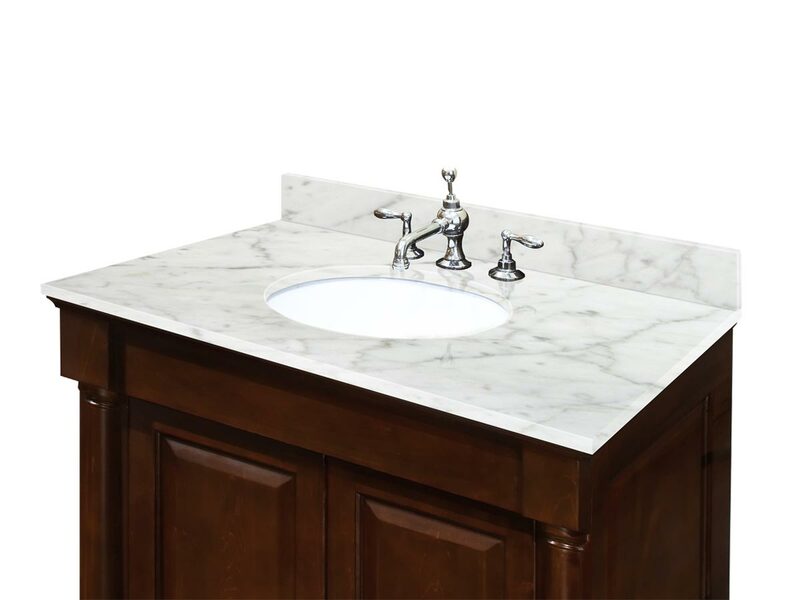 The optional Carrera White marble top brings a beautiful touch to your new Parsons Vanity! 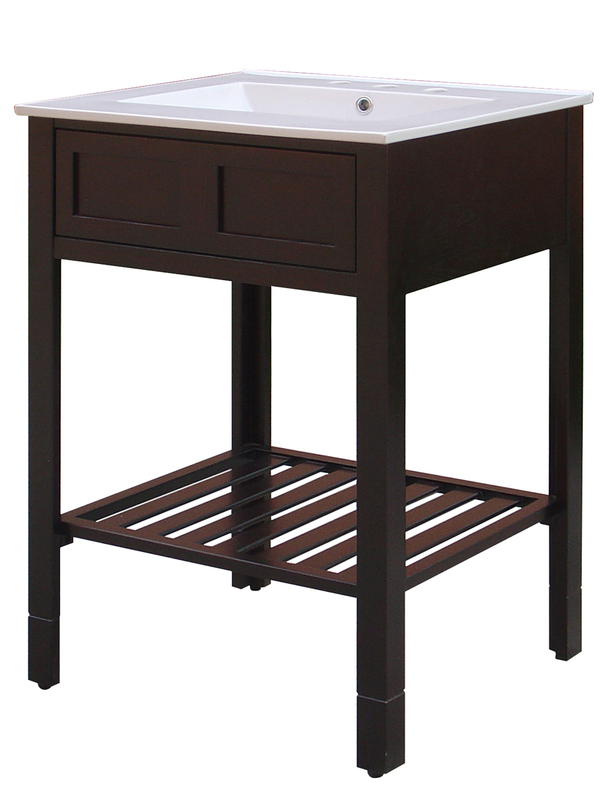 It is pre-sealed and pre-polished to a smooth finish and is includes a pre-mounted undermount white ceramic sink!